Why become a VIP customer? What is included? What are some of the services provided during a VIP Tune up? Examination/Replacement of air filters - Clean air filters improve the efficiency of your system and improve the quality of air circulating through your home or place of business. A thorough examination of system components including coils and contactors - Over time, coils may become dirt incrusted. Dirty coils cause a cooling system to work less efficiently. A unit with dirty coils uses more electricity, cools less effectively, and places undo stress on the compressor. Likewise, burned contactors compromise the efficiency of a cooling system and can cause damage to the compressor. An annual inspection allows a technician to identify dirty coils and burned out contactors before they cause long term damage to your system. It is much cheaper to have your coils cleaned or your contactors replaced than it is to replace a compressor. Cleaning and treatment of condensation lines - Clogged condensation lines and drain lines can cause water (moisture accumulated by your air conditioning system) to leak through your ceilings or walls. Our cooling inspection also includes an algaecide treatment to reduce the growth of algae and bacteria which can clog your drain lines. Examination of electric components - Worn electrical components can create a fire hazard or can cause your unit to unexpectedly break down. Safety checks including components to could cause a future safety issue including fire hazards and carbon monoxide leaks. Checking and testing of all items involving any water and possible leaks. Drain pans, float switches and so on all need to be checked to avoid a leak in your ceiling or worse. Pictures! Griffin Air will take pictures of components during system checkups. What you can't see without climbing, squeezing, taking apart, etc. Griffin Air will show you! Why should have your system cleaned? Griffin Air of Hartfield Virginia put together a Fact Sheet on why you should have your air conditioning system cleaned and serviced at least once or twice a year. Just like your car, your HVAC system accumulates debris, wear and tear with use over time. Griffin Air LLC offers flexible preventive maintenance service programs to our customers to help you avoid costly breakdowns and service interruption. This includes complete system inspection and cleaning, filter changes, tests for leakage and more. What happens if I do NOT have my system cleaned/serviced regularly? FACT: 9 out of 10 system failures are caused by dirt and dust. (LCES) Louisiana Cooperative Extension Service. FACT: Clean systems restore capacity and reduce running time. Translation: Savings on monthly heating/cooling bills (LCES). FACT: A buildup of .042 inches of dirt on a heating or cooling coil can result in a decrease in efficiency of 21% (EPA) Environmental Protection Agency. Do you service my system? Griffin Air services all kinds of brands and systems! 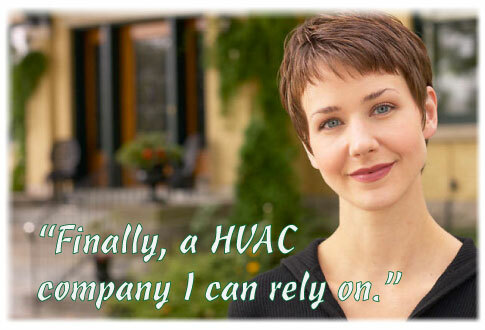 Heat pumps, air conditioners, boilers, radiant heat, and on and on! Griffin Air offers a full range of services for central heating and cooling systems, including air conditioners, electric and gas powered furnaces, and heat pumps.